Photo: Titus-Bunce House, ca. 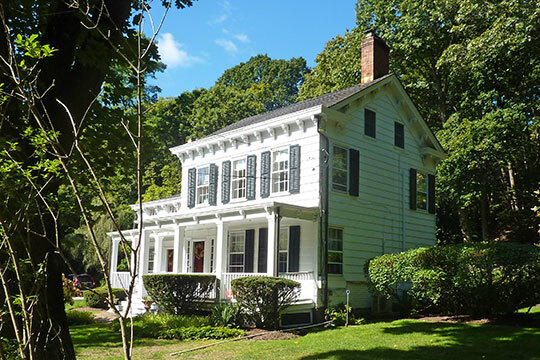 1820, 7 Goose Hill Road, Cold Spring Harbor, NY. Listed on the National Register of Historic Places in 1985. Photographed by User:Muncharelli (own work), 2013, [cc-by-3.0 (creativecommons.org/licenses/by/3.0)], via Wikimedia Commons, accessed August, 2015. Town of Huntington, NY, Horizons 2020: Comprehensive Plan Update, 2008 Draft, www.town.huntington.ny.us, accessed November 2009.